Thank you for taking part in my Cat Grooming: The Next Frontier seminar. I LOVE the cat world, and I am proud of the business I established; PreZoomably Cats: Feline Groomz & Roomz, here in Regina, SK Canada. With training and diligence, I built a steady repeat cat clientele. 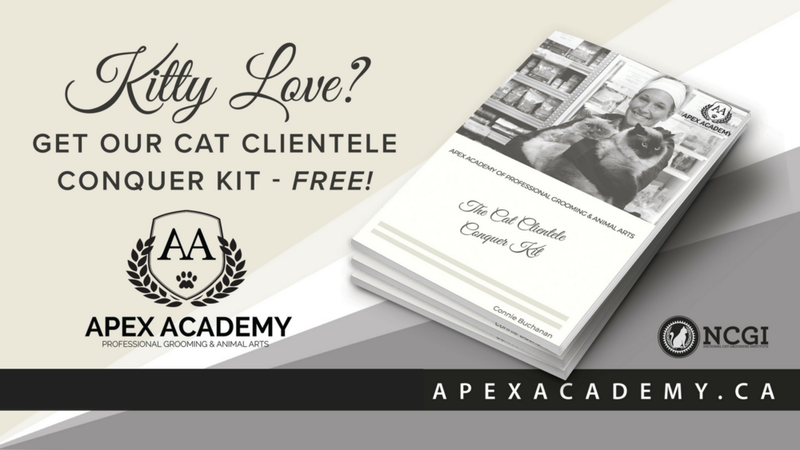 This ebook; The Cat Clientele Conquer Kit was created to share my journey in acquiring clients. I share my ideas on goal setting, establishing pricing, referral strategies, advertising methods, and social media tips. Cats everywhere are "purring" and ready to be groomed! The demand is high for Certified Feline Master Groomers. I wish you all the best in your feline endeavours and want to extend my continued support. Just send an email or call if you have any questions.